Up, Up and Away - The Mini Vacation With FIREWORKS!!! I'm way past due for a vacation. May was supposed to be the month but absolutely everything interfered, so fall it is. That means it's time for a mini-vacation, something I wrote about in January. This is my favourite one, although more expensive than I would like it to be. I'm heading off to Aberdeen, South Dakota, to spend the 4th of July with relatives. Family, food, laughter, exploring the old farm, driving the big tractor and lots of explosives are all in the plans. Although I was born in Canandaigua, New York, I spent my childhood from age 3-11 in Mitchell, South Dakota - the home of the Corn Palace (yeah - as cheesy as it sounds). My mum had family that farmed outside of Aberdeen and every holiday and at least once over the summer, we piled in the car and headed out to spend time with the relatives. These are some of my favourite memories and looking back it's was like being in a Normal Rockwell picture. 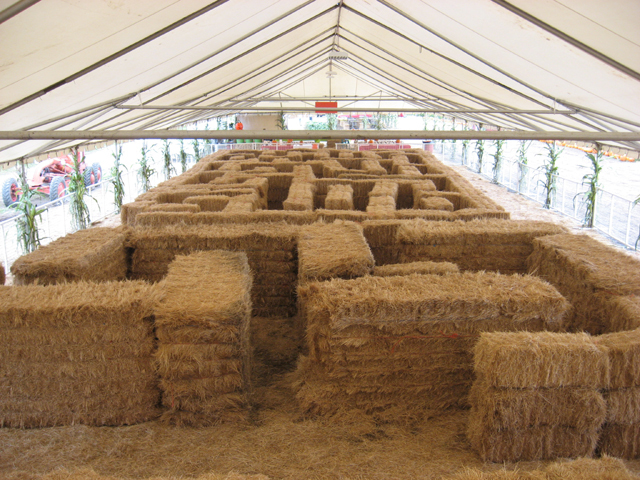 We tried to climb the slippery haystacks, played on the hay bales, got itchy hanging out in the grain bins in the quonset, laughed, ate and just generally enjoyed being around extended family. 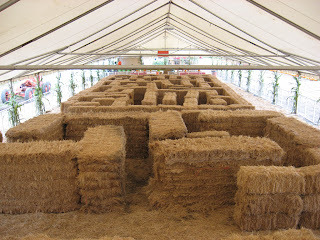 I particularly remember one summer when the older kids went into the loft in the barn and created a crawl through covered maze out of hay bales. Even though I was slightly claustrophobic, I was too proud to admit I was scared and bravely crawled into the dark, dusty tunnel only to panic at the first dead end I hit. I screamed non-stop until they finally located me and pulled me out. When we moved to Sacramento, California, I really missed those great family times. We managed to go back once when I was in high school and that was it. The year after I married and moved to Canada, I took Glen back for the 4th of July and he had an amazing time. Then twice while the kids were growing up we managed to take them for a visit. We don't have much family here, so it was an eye opener for my kids to be in such a big crowd of family. As they grew, driving the 3-wheeler out into the fields was added to the list of activities, something they didn't have when I was growing up. Each time, to save money, we drove around the clock to get there. It's a long 2-1/2 days with stops or 30 hours of straight driving. You get to cross Washington, Idaho, MONTANAAAAAAAAA... (it takes forever to cross this state) and then half of South Dakota. Really not much to see outside of some great scenery. We did make one stop each time, a place I remembered from childhood. Lemmon, South Dakota is a small town whose claim to fame is the "Petrified Forest." Totally cheesy structures built out of pieces of petrified wood in their park. It's a gas. They did have a nice old fashion museum next to it, though. I remember the look on my kids faces when they saw it - priceless. One of my uncles teaching me to drive the tractor. Finally Glen and I took our first holiday without the kids. We drove to Aberdeen to celebrate the 4th and then headed on for some alone time. It turned into a huge cousin reunion. I don't think there was a meal that didn't have 30 of us at it. I still kick myself that my kids did not make it to this one - but they had job commitments that wouldn't let them get away. So in 2010 I decided to drop the bucks and fly us back. Not a cheap proposition, but well worth it. We didn't have to face the gruelling drive and 2 of my 3 kids were able to come with us. It was a much smaller group, but amazing fun. Both of my uncles live in town now and lease out the farm land, but we were still able to wander around, explore the old machinery rusting away and the tractor was still there to take out for a drive. Unfortunately the 3-wheeler had bit the dust. We also walked in fields of waving grain and corn and saw a multitude of bird life. 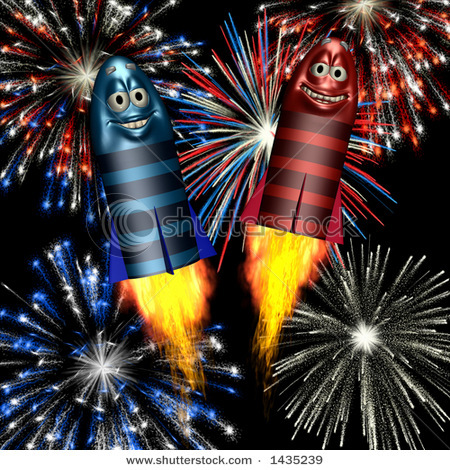 But the hands-down favourite activity was the fireworks. Something you just can't do here. A trunk full of excitement! Growing up, this was always a heavily supervised activity with only a couple allowed to set off the fireworks. I remember one year we were out on the farm and it had been very dry. The grass was brittle. Farmers are always prepared with hoses and buckets of water, but when one fell over and shot through the dry grass everyone just laughed, then there was the pregnant pause before they all rushed over to check for sparks. In 2009 at the cousin reunion, it was a free for all with parents supervising their kids and I remember thinking how I wished mine were here to have the opportunity. There were about 15 of us sitting and watching when a mega roman candle fell over. We all laughed as it shot 2 away from us into the trees, then snorted again when it spun sideways and fired one at the of the older kids...BUT then it spun again and fired one at US! We all leapt up and it went right through my Aunt Shirley's legs and took out a side window on the house. When I took 2 of the kids back in 2010, it was a smaller group. My kids enjoyed the attention of extended family and when it came time for fireworks, they were the main event. This time we went to a small recreational lake outside of Aberdeen where one of my cousins lives. The launching platform was the dock. Smart move! While Glen and the kids set off fireworks, we could see similar displays all around the lake. It was both beautiful and inspiring. I do realize the dangers of fireworks, but also know the other side. When handled properly, it is one of those moment in life that is really special and I am glad my kids have the opportunity to explore it. As we get ready to head back for this year's celebration, I realize it may be the last for awhile and life will change. So I will cherish each moment I am there. It is something many do not get to experience and it brings home the fact that in many ways, I live a privileged life.